If you’re a solo entrepreneur faced with a personal marketing mountain, I know the north face can look pretty gigantic. The last thing you probably want is to climb it alone. 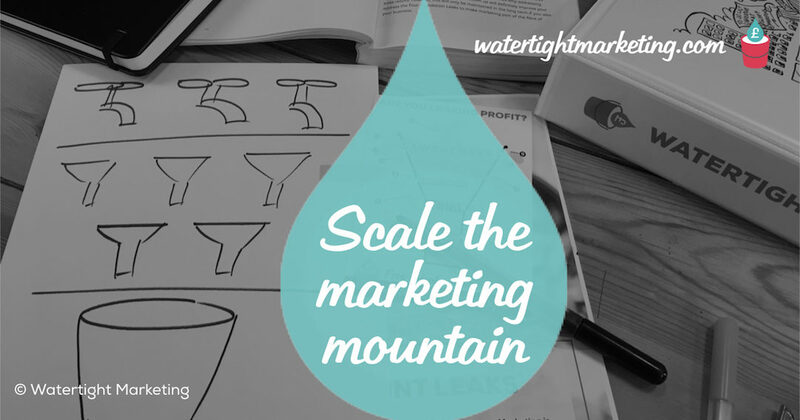 What you might find comforting is that I’ve known quite a few smaller businesses who’ve summited the peak and they do it by tacking their marketing one step at a time (and in the right priority order). They also find an extended team to help them along the way – if you don’t ask you don’t get, so to speak. Using the sales and marketing knowledge they have and investing in that of others (and sometimes for free or nearly free), they’ve grown their businesses and you can too. There’s loads of free advice out there, you just need to find it. But that comes with a cautionary note – make sure it’s quality advice. Do your homework and make sure the place where you get your advice from is proven. How has that advice worked for others? Get some evidence. Time is the trade off here. In exchange for something free you’ll probably have to invest more time than you think, need, or want to. Painful I know, but this is something you just need to get comfortable with. Marketing takes time and effort, not to mention budget (even if that ‘budget’ translates loosely to your time). Subscribe: Sign up to free tips, How Tos, checklist and useful downloads. Get regular advice straight to your inbox from the best. But do your homework first – Hubspot is a good place to start (if you are prepared to be a little bombarded by marketing emails – oh the cost of free). Books: Some of the best marketers in the land give way all their experience for free (well the cost of the book). Look for business books that get great reviews on Amazon, but from people like you (not the author’s mum). Also, see what else you get with the book – handy tools, tips and advice to top-up the learning. (Yep, we have one of those too!). E-Learning: Join an online learning programme – often a fraction of the price of getting one-to-one consultancy. Tip: Look out for where they are run from. Many marketing course are run form the US, but there are some running in the UK. Also, the CIM offer some good courses – you don’t necessarily have to be a marketer to sign-up. Skills Swap: Have a look through your address book and see if there’s anyone you know that you could skills swap with. For example, there are a few graphic designers that have done some projects for me in exchange for some marketing advice. A contra arrangement. Networking: Not everybody’s favourite but worth your while if you pick the right event (or talk, or conference, or trade show, or business breakfast). Check the delegate list before you go to see whose going (see point 4 above) and even better – go to an event where you can take away some free advice. Just like the Watertight Marketing Lunch & Learn sessions. Attendees never go away empty handed (see reviews here). See also here my gust blog with the folks over at Adlib Recruitment on how to follow-up after a networking event. Telephone: Just ask a friend for help. You’d be surprised what people will do for a beer or dinner. Even if it’s just picking something up from the printers or helping with your market research. The one thing we’d say you should find some money for, that makes all this free stuff actually work, is your own knowledge. You need to know enough about marketing, strategically, to make confident decisions about how you spend both your time and your money. If you don’t do this, you may find that all the free stuff becomes overwhelming and energy-sapping… as the mountain of ‘should do that’ ideas grows. By investing in your own knowledge, you can decide what to do, what to delay and what to ditch altogether. But how do they get it all done in the time that they have? Without a doubt, when it actually comes to doing the marketing doing, most people wearing all the hats in a business leave it all to the end of the week, or worse the weekend. Because like the rest of us they’re busy running their businesses right? Once you’ve invested in your own skills to make good decisions, you’ll need to be diligent in mapping it into your diary is critical. Or, they just fear the mountain-sized job in hand and just keep putting it off. See my talk on ‘getting things done’ from the #wmconf16. If there’s just one productivity tip you can take away from here, I’d be delighted, so please let me know what you think. Or, they simply don’t have the experience of devising and running marketing activity, and /or cannot afford the luxury of someone doing it for them. 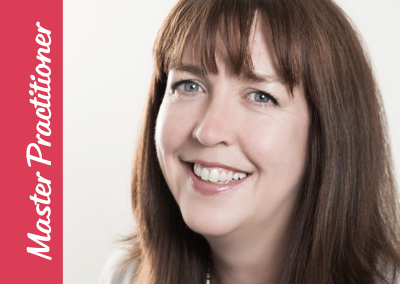 See fellow Watertight Marketing Certified Practitioner Rachael Wheatley’s blog on when to outsource your marketing here. Most of all, remember to breathe and take your time – sometimes you need to slow down to speed up. It’s only marketing. The trick is to identify what needs doing first (usually the marketing thing that is the weakest link in your strategy) and do the rest in priority order. Rome wasn’t built in a day (oooo another cliché – sorry). The Watertight Marketing methodology (and here’s the shameless plug) is excellent for helping you identify these types of priorities. If you really want to work this through, take a look at our Webschool courses or complete your own Profit Priority Profile. Find yourself a buddy in a similar yet non-competitive set-up to you and share ideas. Even better, get yourself a mentor. With a skill swap on offer you may even get this for free. What’s the harm in asking? !